Blog Coffee roasting, just a bubble? Is self coffee roasting just a short term bubble? This question seems for me really interesting because I’m deeply involved in this topic for two years now. You know that I’m a passionated coffee evangelist and keen on any detailed information related to coffee which one cannot find so easily. If you’ve read the last chapter of my coffee story you are already familiar with the process in terms of coffee roasting, if not give this article a try ROASTING COFFEE AND PASSION TWO INSEPARABLE THINGS…. To answer the introducing questing my first task was to define a suitable scope. With scope I mean the area to investigate. I’ve decided to focus on the German market because Germany is within Europe the biggest coffee market and provides the most reliable data. Additionally Germany is the biggest exporter of roasted coffee worldwide which means that a change in the German coffee roaster’s scene has effects to all other countries. First of all I wanted to know if self coffee roasting is part of an existing scene or if it is just a supposition fed by many press releases. 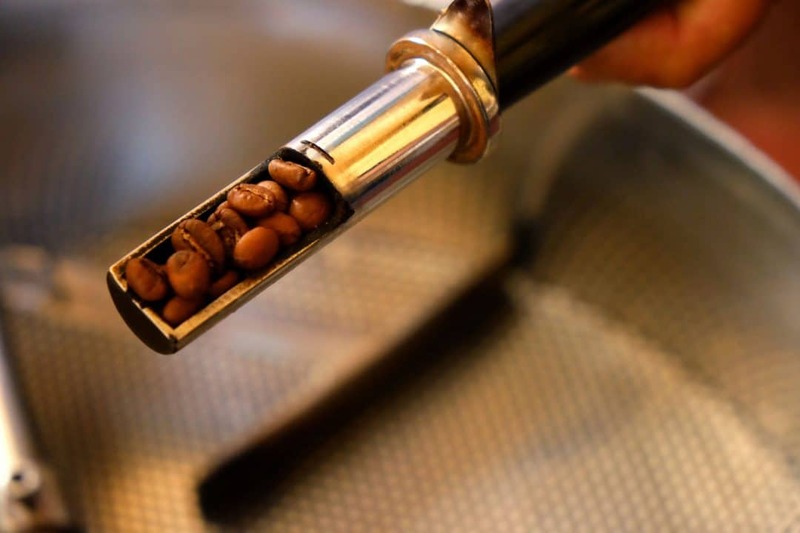 The figures show that there are more than 255 registered coffee roaster companies in Germany. This figure is based on 2015 but is is not outdated because if you compare it with the 2010 figures it shows that this is an annual rise of 25 new roasting companies. You might answer: "only 25 new companies a year?" 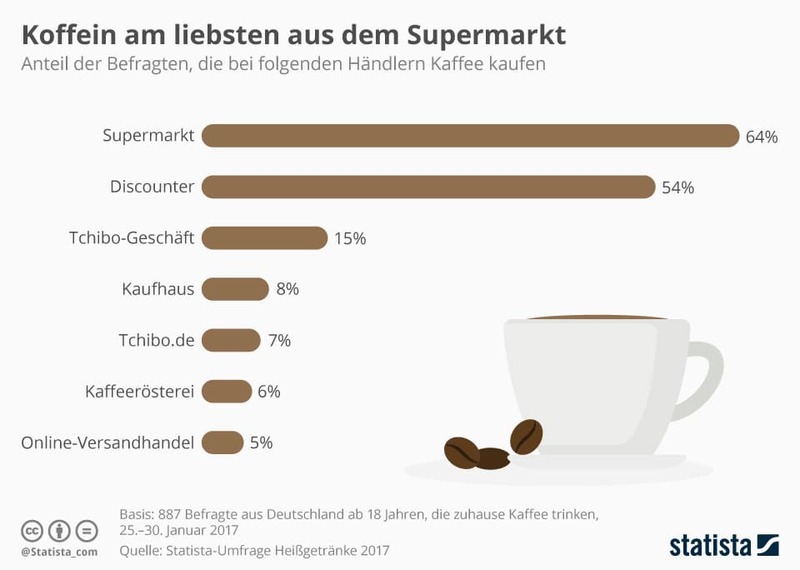 This figure needs a closer look behind the scenes: Breaking down the German coffee roaster’s market share you see that less than 5% of the coffee roaster companies occupy 80% of the market share. Sounds like a mission impossible for the small roasting companies? I claim it is not. My evidence is quite simple but needs a better understanding of the roasted coffee market. Let me explain this with some figures and data I’ve grabbed from official statistics and market researches done by the really big roasting companies. In 2014 the German food-trading sector sold 373750 kg roasted coffee, in 2015 they sold 379100 t and if you look at more past figures you see that is a constant development. The conclusion is that roasted coffee is mainly sold by consumers at supermarket-chains and discounters. This fits to the fact that Germany is not only soccer world-champion but also champion in preparing and consuming filter coffee. More than 54% of the Germans prefer filter coffee compared to other coffee specialities. 63,1% of the Germans use a filter-coffee machine and 24,1% use a hand filter. Another key-fact is that 67,9% of the Germans prefer to drink their coffee at home! All these data and figures must be evaluated in context with the consumer’s preference for local or regional products. For years now the supermarket-chains and even the discounters filled their shelves with local or regional products, and so they are forced to do with coffee as well. Locally roasted coffee is not only hip it is hype. The big trading chains are the accelerators for small to medium sized coffee roasting companies. And not to forget the cafés which decided to create their own coffee brand by self roasting their coffee and market it through their customers and local branches of the big trading chains. The trading sector is in a tight spot because the must meet the consumer demands for local and regional products, especially in Germany which has the highest density of supermarkets and discounters worldwide. All in all my conclusion is that small to medium sized coffee roasting companies not only have a right to exist, they will have great future with shining revenues. They are part of a changing food and beverage consumption behavior with the ability to require customer’s demand and meet their preferences concerning place and way of consuming coffee. They won’t have to fear the big coffee roasters because the mainstream is what they serve. So the tight spot will be the big roaster’s one because they have to cope with an unique selling proposition they don’t have: being local.